Malaria is a simple parasite, transmitted by a mosquito bite. But this deadly disease, which has been around as long as homo sapiens, has killed more than all wars and natural disasters combined. It has wiped out cities, destroyed empires, ruined colonies, and may be responsible for 50 billion deaths, among them Alexander the Great and Marcus Aurelius (allegedly). Hundreds of thousands of Americans died from malaria as well until DDT was introduced in the 1940s. This miracle mosquito looked poised to wipe out malaria across the globe, but it was quickly banned after the 1962 publication of Rachel Carson's Silent Spring, a jeremiad against pesticides that still informs environmental policy today. In this episode of the History Unplugged podcast we will look at malaria’s massively under-appreciated role in history. For example, DNA forensic tests have shown the presence of malaria in the Roman Empire in 450 AD. These were the final years before its collapse and malaria may have been responsible for its death knell. Second, Many historians believe America won the Revolutionary War due to malaria depleting the ranks of British soldiers. When the malaria parasite was discovered in the 1800s it led to new efforts at containment. The discovery that malaria was transmitted by mosquitoes had tremendous impact on saving lives in the tropics. During the construction of the Panama Canal, regulations were put into effect for the control of malaria and yellow fever that consisted of screen houses and extensive drainage of swamps to reduce mosquito breeding. With these efforts yellow fever was eliminated and malaria transmission greatly reduced. But the real game changer was the deployment of DDT during and after World War Two. When U.S. home-spraying operations started in 1947 in the United States, there were 15,000 cases of malaria in the Southwest. 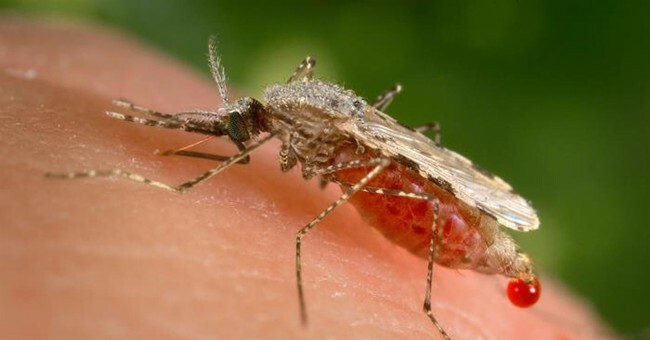 Only four years later, officials declared malaria eradicated. Once-deadly swamp lands like much of the United States were now safe for human habitation. Even South Pacific islands were no longer death traps. The fight against malaria took a different turn in the 1960s with the publication of Silent Spring, a book that argued pesticides could permanently damage earth’s ecological balance. The book's thesis of chemicals bad, nature good informs much of the environmental movement today. Malaria is not the killer it once was but questions on how much chemicals should be used to eliminate it and other mosquito-borne illnesses still plays a massive role in public affairs debates; this episode will see how much of these opinions are based on historical fact and how much are fiction.